It’s a silent disease, in that no one expects it to happen to them, and most of the time you don’t even know what it is, till you’re afflicted with it. But the term has existed since 1963, despite the obscurity of education on the issue (Kramer). Considering the effort of preparing study-abroad students for their arrival on foreign lands, you might assume culture shock is a dangerous phenomenon. I too went through hours of discussions, charts, diagrams of icebergs, and interviews to be sure that I was not a liability to my home university, or prone to the effects of this. But what they don’t tell you, what no one prepares any student for, is that moment when they arrive back home and discover they’re worlds apart from the life they left. Their experience has changed them, and reverse culture shock transpires to make the traveler feel as though they’re the foreigner in their home country. You’ve traveled the world, spoken several languages, but you become saddened by the lack of Nutella or angered by the ignorance of baguettes at your local supermarket. Family and friends are disinterested in your adventures, and the memories of experiences that seem so profound to you, become prisoners of the mind. You’re silenced, perhaps shunned, you’re hammered back into the life you once lived, but no longer fit into. Worse is, you might discover that your family and friends have moved on without you, leaving you in free fall from your world which is collapsing in on its self. Even more perplexing is the importance placed on culture shock, when studies have proven that the magnitude of reverse culture shock is far worse (Mooradian 40). These may seem like a simple case of temporary discomfort, but suicide is common among those who live abroad, and is often considered the result of culture shock. If R.C.S is indeed worse, we must assume deaths such as Tom Miller’s, who jumped from the 8th floor balcony, a stern warning to those who pursue travel serendipitously (Stoller). Indeed suicide is the fourth leading cause of death to Americans abroad, and often these deaths are rarely reported. Perhaps it’s the idea of coming home that drives them to such desperation? What about those stories of passengers running for emergency exits mid-flight? Could it be that they were seated next to this dark passenger? The question is what causes reverse culture shock to be so much worse? Borrowing from Thomas Wolfe, why can’t we go home again? I suspect for some, it’s similar to Jenny Randle’s invention of the Oz Factor: “the sensation of being isolated or transported from the real world into a different environmental framework, where reality is but slightly different [as in] the fairy tale, Land of Oz” (Randles). 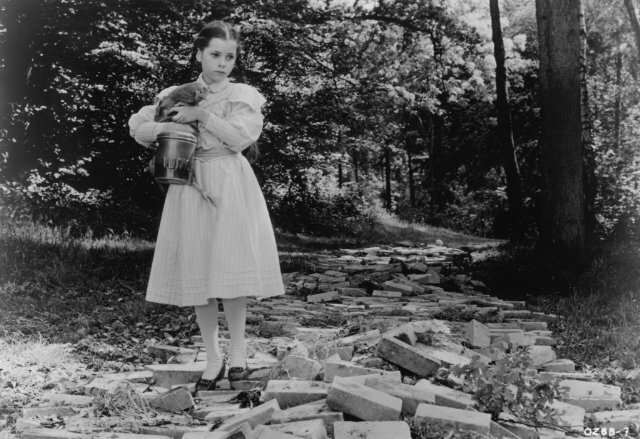 Similarly to Dorothy, so many study abroad students aspire to return home, but in the process of doing so, something changes, and the moment you arrive back in Kansas you question your own reality. 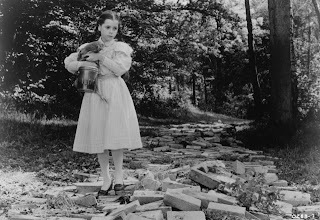 For some, like as I suspect was the case with Dorothy, life became a constant comparison to her adventures abroad. The memories become a fantasy and the high and low we ascribe to our culture gets turned on its head (Walravens 18). It’s “as if s if Dorothy in all her time in the land of Oz finally gets home and then tragically realizes she'll spend the rest of her life trying to get back to Oz” (Jones). The small amount of information regarding reverse culture shock comes mostly from universities which, in my opinion, insult the intelligence of students with snake oil cures such as “get involved”, or “keep a sense of humor” (Marquette). Seriously? When the Journal of Travel Medicine describes the symptoms as “strain”, “loss”, “rejection”, “confusion” and “impotence” (Stewart, Leggat)? No wonder people are jumping off of buildings! Even the universities don’t go as far as to tell you the medical recommendation for dealing with the “emotional impact” of reverse culture shock. The cure, suggested in Stewart and Leggat’s medical approach is “thought stopping” and “thought substitution” using the Rational-Emotive Theory (Stewart, Leggat). In essence the only cure is to forget. One must sacrifice everything they become abroad, who they are, to find happiness when they return home. There of course is always another option, one which is never mentioned. As if saying that single word is unthinkable. Perhaps our concept of “home” is misguided? Definitions range from a safe place, to a place one settles, but what if home is simply whatever strange place you find your happiness? What if the dark passenger isn’t a bad thing, what if, this disease isn’t an affliction but a calling? What if we’ve made it a cultural taboo to embrace this universal human truth, the truth that we as a species are evolutionarily inclined to explore and discover? What if it’s this which makes us human and we’ve villainized it? Then that unthinkable action, that word becomes quite acceptable within the confines of this model. To cure reverse culture shock one must lean into the wind, and run! So where is home when your heart is oceans apart? The answer is “it’s far, far away. Beyond the rain, behind the moon” (Baum). It’s not a destination, it’s a mindset. It’s waking up in whatever strange place you find yourself in, and finding your happiness. So Forget everything except that which drives you to that discovery. Mooradian, Bethany L. Going Home When Home Does Not Feel Like Home. Foundation, Inc. 30 Oct 2012. Walravens, Jan. Intercultural Communications CMM 271 Reader. Jones, Liv “Getting Back to Oz”. Eat Fly Love, 2008. 15 Nov 2012. Marquette University Reverse culture shock. Office of International Study Abroad. n.d.
Medicine. Vo. 5 Issue 1., 2006. 17 Nov 2012. Baum, Frank L. The Wonderful Wizard of Oz. George M. Hill Co. Chicago. 17 May 1900.